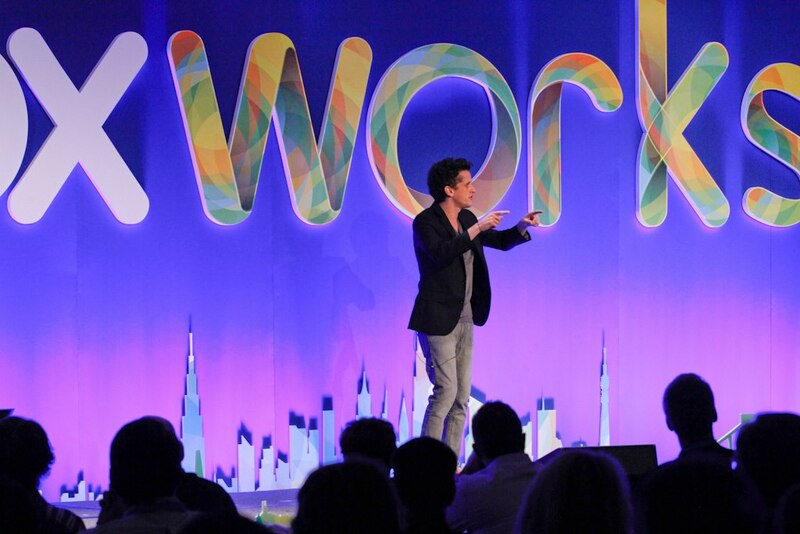 Aaron Levie took the stage today at Box’s second annual Boxworks conference to give an address about the company and its future, complete with his humorous commentary. From jokes about Google+, Oracle, and even coming out dancing to “Gangnam Style”, Levie shared some amazing statistics. A lot has changed since the company’s inaugural user conference in 2011. Back then, the company had 7 million registered users spanning over 100,000 businesses and it experienced tremendous growth within the enterprise sector, having slowly moved away from being a pure consumer service. Today, Box’s conference is three times larger and sold out. Levie joked that while President Barack Obama was in town this week, even he couldn’t get a ticket to the show. Levie announced that Box has over 140,000 businesses signed up with over 14 million individual users. And you know that enterprise play that it’s going through? 92% of all Fortune 500 companies are using the service. Not bad for a year’s worth of work. Levie believes that Box is going to play a big factor in the way data is shared across all platforms and is continuing to move into the enterprise industry and is continually finding ways to merge the best of both worlds, building a very elegant application with something that will work efficiently with any company.